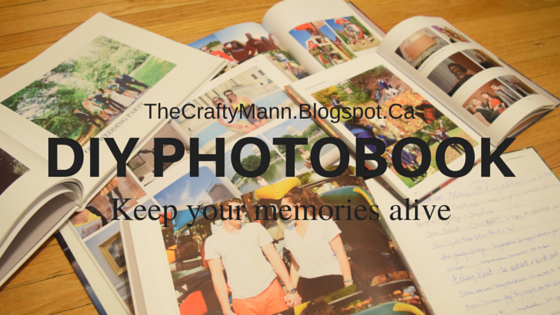 Keep Your Memories Alive with a DIY Photobook! A few years ago I started making photo books through Blurb in order to print large amounts of my pictures. 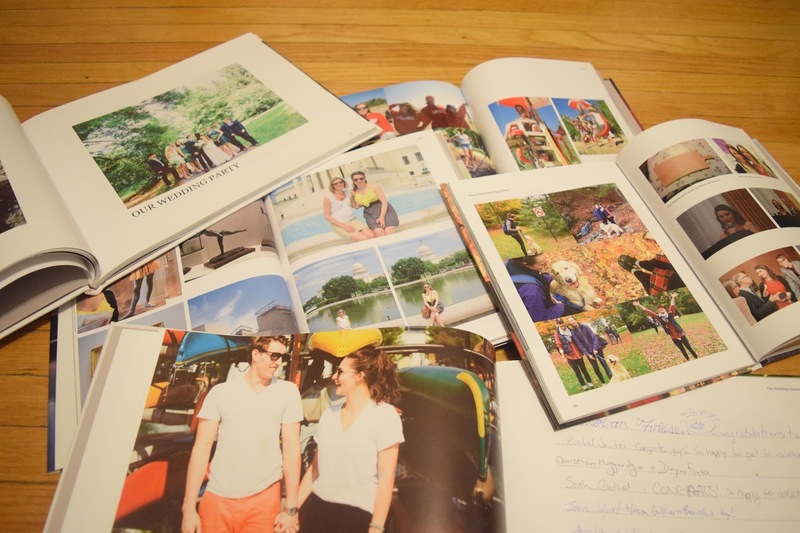 Since then I have also made a wedding guestbook using our engagement pictures, as well as wedding photo books. If you’re going basic, they can be very fast to put together, but by now my books take me many hours to perfect. I chose Blurb because I liked the examples I saw on their website, but Shutterfly is another popular site. 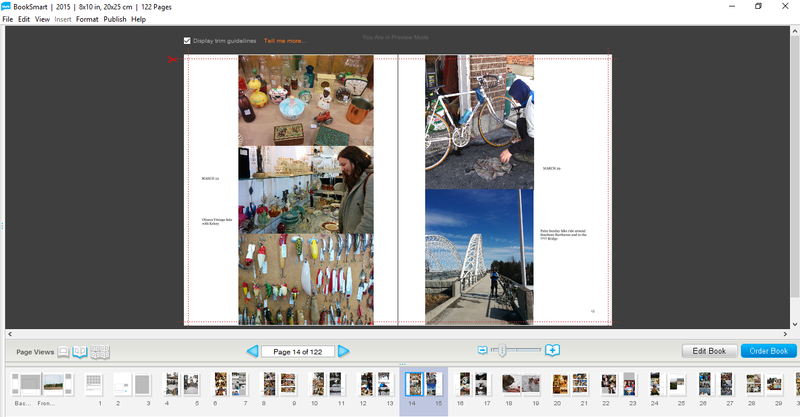 Even Staples and Shoppers allow you to make online photo books. Online editors can limit your creativity, so going with downloadable programs gives you lots of customization. Generally my themes are “2013,” “2014,” “2015,” but like I said previously, I’ve also made wedding themed ones. 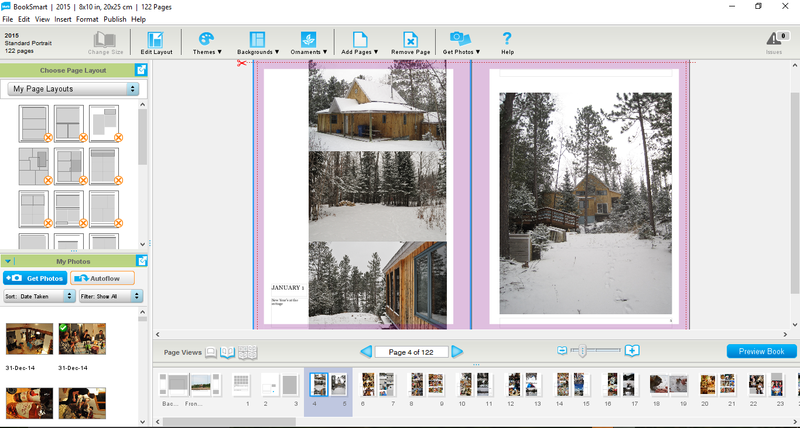 Most programs will have pre-set layouts for you to choose from, which makes it pretty fast to organize your photos on the page. I’ve been working on getting a little more white-space in a cool way on my pages, so I’ve made my own layouts. Make sure you think about what you want grouped on a page together – is it thematic (all the drinks you’ve had that year…) or by day. Step 4 – Put it all in! Once I’ve uploaded all my photos, I go through and add all of them, trying to figure out good page setups. 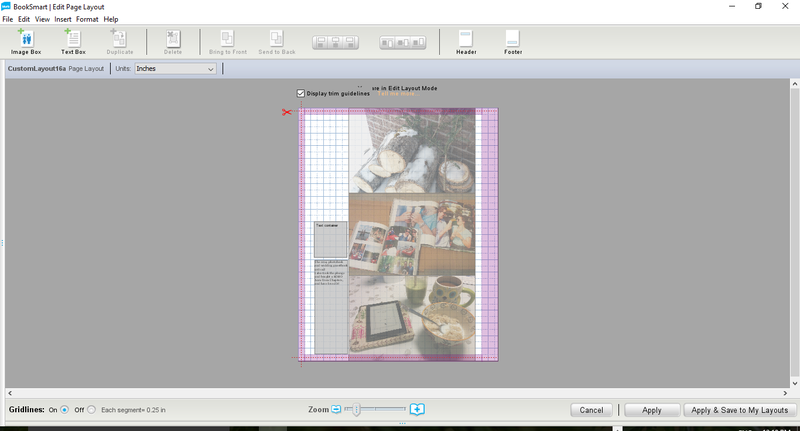 Blurb has a free program, BookWright, which I haven’t used yet. When I started this book, I still only had BookSmart, which you can download to edit your layouts yourself. I’m excited to try BookWright for next year’s book! In previous years I haven’t included much text, but since I’m including our honeymoon in the 2015 book, I wanted to have descriptions of everything we did. I decided to stick to a minimal format, where I would have a small text box on the side. Step 5 – Edit, edit, edit! Make sure to preview your book before uploading it, to make sure that all the lines are flowing, the text is where you want it (I moved the boxes down to the bottom left and changed the date header after seeing this preview). Take as long as you want editing the book. One year I had slapped it all together to get the 40% off coupon from Blurb, and it arrived with typos (and I wrote that it had been my 21st birthday, not my 22nd). You don’t want to have to go through it with white-out and a pen later. Step 6 – Order your book! The best part of the project is getting it in the mail. Make sure you wait until your company has a discount code, so it’s cheaper! Have an awesome time putting the book together!